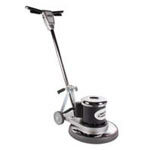 Buy a 17 Mastercraft Marble Floor Buffer Today! The 17" QuarryMaster stone care floor buffer is a heavy-duty 197 pound beast! 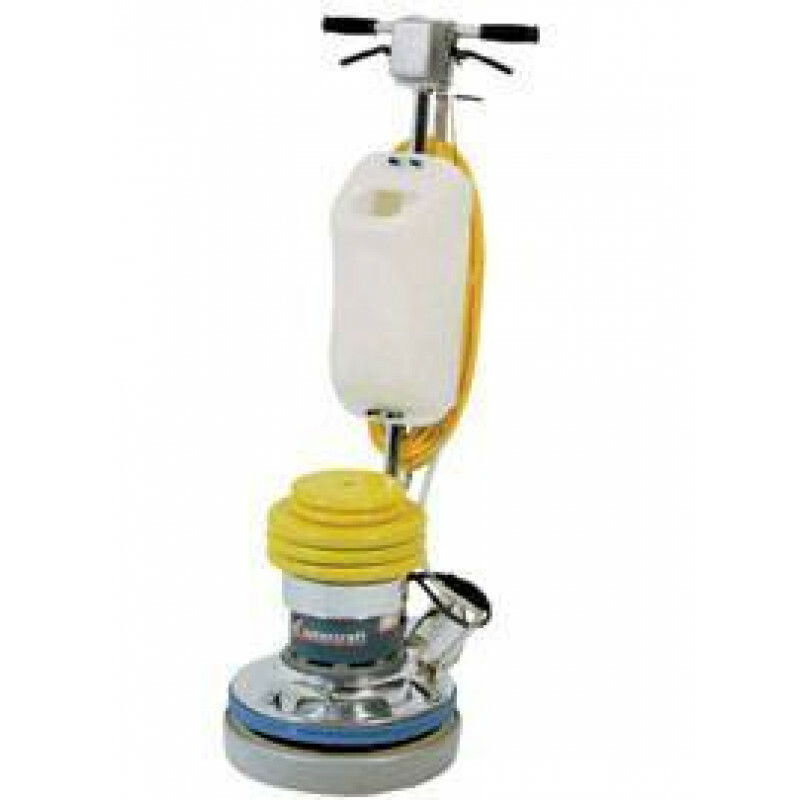 It is designed for the restoration and maintenance of marble, tile, terrazzo, stone and concrete. Its all steel triple planetary gear system is permanently lubricated with a specially designed flex coupler to guard against possible motor damage when under load. The aluminum apron, which is reinforced for strength and rigidity, will not rust or corrode. The built-in AMP meter allows for constant monitoring of current draw and selection of the correct weight. This deluxe package comes with two 10 pound discs and three 25 pound discs, which allows you to adjust the down pressure on the head of the machine; a 4 gallon solution tank for dispensing liquid when you need it; a standard pad driver and diamond disc driver with five quick change diamond mounting pads and splash guard skirt to contain slurry. Built-in AMP meter allows for constant monitoring of current draw and selection of the correct weight. Flexible dual triggers allow for left or right hand operation, non-conductive with built-in safety lock-out to prevent accidental startup. Heavy duty switch is set in a die cast aluminum switch box, which will not chip or rust. All steel triple planetary gear system is permanently lubricated with a specially designed flex coupler to guard against possible motor damage when under load. 50 ft. 3-wire grounded power cord with water resistant jacket. Apron is equipped with lift handles for ease of transportation. 1.5 HP DC motor rectified for AC operation with carbon brush wear indicator light. Extra heavy duty wheel support system, reinforced with six point cast aluminum.